It’s hibernation time – to shed tasks, responsibilities and even pleasures and curl up under the blanket until winter is past. The body aches all over, the mind is tired and all you want to do is sleep… or let the telly beaver away in the background… or read. For the past few days I’ve been reading a remarkable book by a remarkable man, Rob Fynn. Every person who has ever been to Africa should read this unabashed story of his life, which started in Rhodesia / Zimbabwe. Hare-brained escapades around the world follow, and a remarkable land journey southwards through the Sahara back to his home. His love of Africa and its wildlife shine through, and his ability to live life to the full – even though he fails to think through to the consequences – adds to the charm of his book. 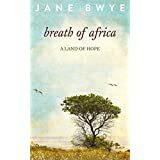 He breaks away with his ailing wife to the US, he follows her to New Zealand when they part, and he returns home, to Africa. I have finished Angel in a Thornbush and there’s a tear in my eye. I dont know why, for Rob, being the man he is, will stand up, dust himself off, and try again… and again. His heart and faith are in the right place. There are so many of us who have been battered and bruised by life and here is an example of sheer doggedness, you can only wonder at the survival instincts of mankind. I no longer feel low, or off-colour. I return to my home in Africa from time to time and drink in the beauty of its wide open spaces. Winter only lasts a few months, and then I can uncurl like a hedgehog and let the sun’s warmth penetrate my body into rejuvenation. Rob Fynn, I salute you! And Christmas is coming! May you all enjoy a peaceful and happy season of refreshment, whatever your faith. And perhaps after you’ve read Angel in a Thornbush, you might like to dip into this one, which also deals with the thorny problem of sickness in a relationship. 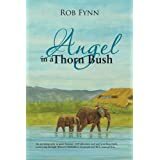 This entry was posted in Authors and tagged Africa, Angel in a Thornbush, Books, hibernation, Rhodesia, Sahara, the US, winter. Bookmark the permalink.